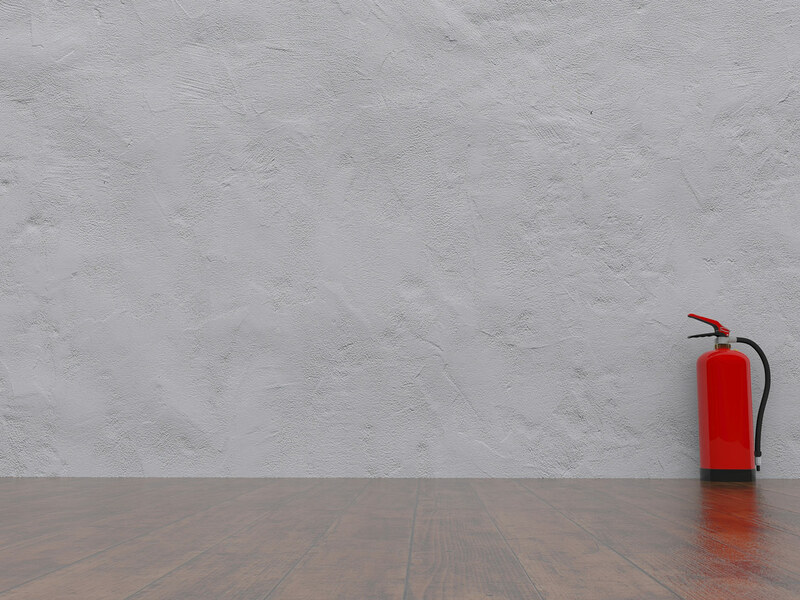 Although many people have a fire extinguisher in their home, most do not know how to use them properly or how to determine if they are in working order. For these to be useful tools for fighting a fire, it is important that you understand how to use a fire extinguisher. First, you need to determine what type of extinguisher you need, when to use it, and where to store it. There are several types of fire extinguishers, and in the United States, they are classified based on the types of fires they can extinguish. 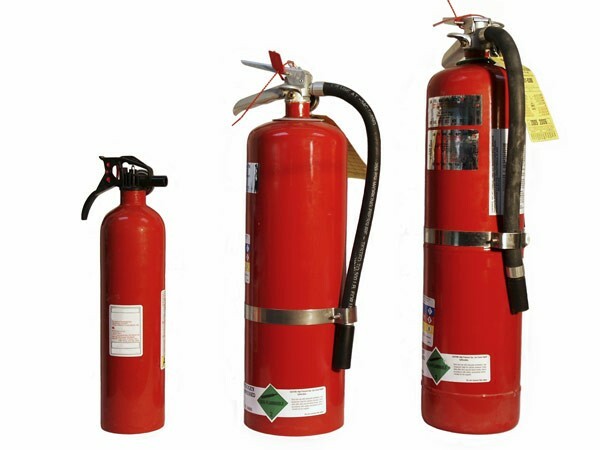 Class A extinguishers can put out wood, cloth and paper fires, Class B are for fires involving flammable liquids and gases, and Class C are made to put out electrical fires. There are also Class D extinguishers, for putting out fires involving flammable metals, and Class K extinguishers, which are used in kitchens because they can put out large oil and grease fires. The majority of fire extinguishers used in households are ABC extinguishers, which are equipped to address a wide range of fires. Before fighting a fire, be sure your extinguisher can handle it. If the fire is bigger than you are, you probably will not be able to extinguish it (in this case, evacuate your home and call 911!). Additionally, make sure an extinguisher is appropriate. ABC extinguishers can handle kitchen fires, but they can also damage your stove, so see if you can put out a fire with baking soda or a pot lid if it is small (and never use water). Once you are ready to use your fire extinguisher, use the PASS method. It is important that you aim at the base of the fire to smother it at its roots. Once extinguished, be sure to monitor it so that it does not rekindle. Most fire extinguishers will keep working for 5 to 15 years, and they have indicators that tell you if they have enough pressure. If indicators are in the green zone, you are good. However, if indicators are not in the green zone, you will need to get it recharged by a professional. You should also recharge an extinguisher after you have used it, even if it is in the green zone. Once a month, along with verifying pressure, you should make sure that the hose or nozzle are clear and in good condition, the locking pin is secure, and the body of the unit is free of dents and rust. 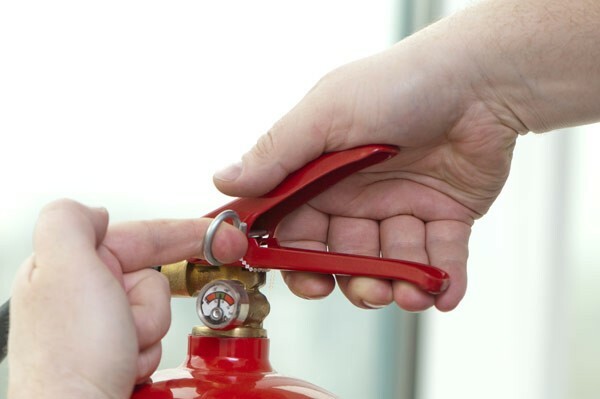 Replace or service your fire extinguisher if there is any damage or low pressure. Where you store a fire extinguisher is also important. You want to make sure that it is in a place that is easy to access since seconds matter when there is a fire. Place extinguishers near areas where fires are most likely to start, such as your kitchen. You should also have one for each level of your home. If you store your extinguisher in a closet, make sure it is placed in the front, and if it is in the kitchen, keep it a fair distance away from the stove. To learn more about how to use a fire extinguisher, please contact your local fire department or visit NFPA.org. 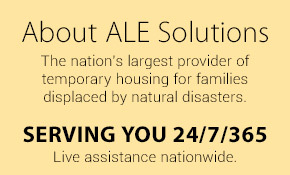 And, stay tuned for more disaster preparedness tips here on Discover ALE! I think it is nice to know how to use and extinguisher so if I ever need to use one I will not be panicking the whole time. The steps are easy to follow, and the tip to keep them maintained as well. I was wondering if there is a rule to how many should be in a house? At least one for each level of your home. Two on the level your kitchen is located (one in kitchen, one elsewhere). I had no idea that fire extinguishers can last anywhere between 5 to 15 years I can see why this would be good to know if you have had yours for a while. My dad likes to host barbecues all summer long. I’ll have to ask him about his fire extinguisher and when the last time was he looked at it. My husband loves to be prepared and last week my brother’s stove caught fire and burned half the room. I wasn’t aware that ABC extinguishers can handle kitchen fires. We will be sure to have one handy in case anything like that happens in the future! I am so thankful that I’ve landed in this post while browsing. It really helped when you explained and provided the instructions on using a fire extinguisher. This information is important that we should be aware of. This is a life-saving device if we only know how to use it. I appreciate the explanation of the different classes of fire extinguishers. I had no idea that there are different types designed to put out different kinds of fires. Since my husband and I plan to get one to keep in our house, I thought it would be smart to learn how they are used to put out fires. We thought it would be a good idea since I almost started a fire by burning oil the other day. Thanks for helping me learn how a fire extinguisher is used. The article mentions that the nozzle should be aimed at the base of the fire. I’m interested to learn if you should start near the edge of the fire as well or if it’s just important to go for the base.